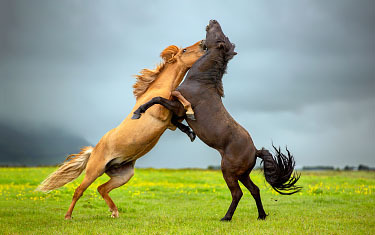 The price of this 8-day Equine photo tour to Iceland is estimated at €2700,- to €3200,- per person. As soon as we announce the date, we will make the exact travel sum known as well. • The complete photography program. • Guidance of two professional (equine) photographers. • Hiring the models/riders and their horses. • All scheduled trail rides and the waterfall tours. • Transfer Reykjavik (BSI busstation) to and from the accommodation*. • Transport to and from the photoshoot locations. • Transport to and from the planned extra activities. • Full board: Breakfast, Lunch and Dinner at the accommodations. • Contribution Guarantee Fund GGTO. • Flight to and from Keflavik, Iceland. • Transfer Keflavik airport to Reykjavik (BSI busstation). • Additional options and personal expenses. • Travel and cancellation insurance. *Please, keep in mind that the transfer to and from the accommodation is only included at a certain scheduled time. If you can’t join the transfer at that time for whatever reason, please note that there will be additional charges if we need to arrange a separate transfer for you. During this photo tour we offer additional options. So in addition to the photography program, you can see and experience more of beautiful Iceland! Go along on a whale and / or puffin tour on the last night of the trip. You leave from the port of Reykjavik and have a chance to spot different whales and dolphins. 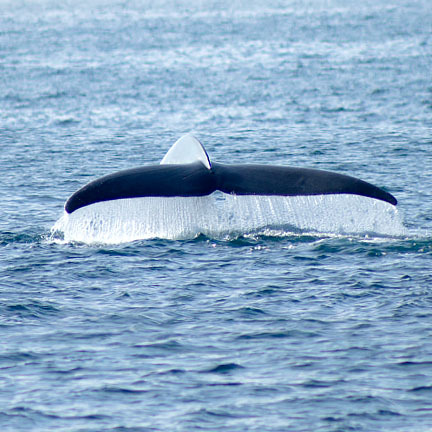 In the summer the chances are greatest to see the minke whale, the white-snout dolphin and porpoise and very occasionally a humpback is also sighted. During this tour you will go with the big whale watching boat looking for whales and dolphins. During this tour you will go with a fast rib boat looking for whales and puffins. With this boat you can get to the spots extra fast and can get closer to the animals. After completing and sending the booking form we will contact you by e-mail, in which we will discuss any further requests and confirm your registration. After confirming your booking, you will receive an invoice for the payment of the trip. The deposit will be approximately 20% of the total travel amount, with a minimum amount of €250,-. The remaining travel fee must be paid at least one month before the trip. Would you prefer to pay in multiple parts? This is also possible, depending on the amount of time until the photo trip. Please contact us for more information. Price €2700,- to €3200,- p.p. HPE is affiliated with the Guarantee Fund for Specialized Tour Operators. The GGTO Foundation guarantees that they will refund the already paid part of your travel sum, if the tour operator becomes financially invalid. Horse Photo Experience pays a fixed amount of €15,- per booking to the GGTO . This will build and maintain the guarantee fund.